Remember that old, linear sales funnel? It was a good idea, but it doesn't work for the way customers do business now. Instead of funneling your customers, focus on building a healthy lifecycle in your business. The customer lifecycle is customer-centric, rather than sales-centric. It is based on the fact that customer relationships with companies are not static; customers continue to research, learn, explore options, and change opinions about products, services, and the businesses behind them. A single purchase does not guarantee a loyal customer. It's the beginning of a relationship that needs to be developed. The key stages of the customer lifecycle are Discover, Explore, Buy, and Engage. Discover: Your customers "find" your business or brand, your product or service. Do you know how customers find you? What are the most effective channels through which new customers encounter your brand and previous customers are reminded of it? Your Next Step: Analyze the data you have on how your customers find out about your business. Define the top 3 - 5 channels through which your business is discovered. Common discovery channels include social media, catalogs, user communities, digital content (websites and blogs), digital, print, & multimedia advertising, and search engines. Create an improvement plan for each of your main discovery channels. Explore: Almost all of your customers research your business before they make a purchase decision. They're searching online for information, reading reviews, and getting opinions from friends, family, and user communities. In the "Explore" stage, content and online response is hugely important. Customers are looking for answers to their questions, reassurances about any hesitations they have, and quick response from your team. Your Next Step: Three main areas of online customer exploration include 1) online reviews, b) digital content, and c) social media presence. Create a strategy for managing and improving each of those areas for your business. Highlight customer testimonials on your website (and promote them via social media). Look for ways to give customers a chance to see your "offer in action" before they make a purchase decision. Buy: Your customers has reached the point of making a purchase decision! Your ordering and payment process are the stars of the show in this stage. You want your customers to feel a natural flow from exploring to purchasing. Make ordering easy and payment processing seamless. Other elements in this stage include confirmation emails and your shipping/delivery process. Your Next Step: Two keys to success in the buying stage are 1) no surprises and 2) no pauses. Once a customer makes a purchase decision, you want the process to flow smoothly and product/service delivery to be as promised. Consider ways to improve your payment process, automate follow-up emails and order tracking, and speed up delivery of the product or service. Engage: Your customer starts using/receiving the service or product. This is the point when the customer funnel simply "drops" the customer, which is a terrible business practice. Repeat customers are the bread-and-butter for your business. So at this point, you need to provide an inviting user community, a simple way to provide feedback, and simply stellar customer service for your customers. Your Next Step: Once a customer makes a purchase, he/she feels a sense of closure. Your job in this stage is to keep the relationship open-ended, instead of closed, so that your customer will "rediscover" your business. Consider the best ways to do this in the context of your business: an active user forum, a regularly updated blog, a support community, online tutorials, one-on-one guidance, email newsletters, customer surveys, phone calls, collecting feedback, social media interaction… There are many ways to keep customers engaged. Choose two or three that fit with your business and build them into the powerful channels of return business that they should be. 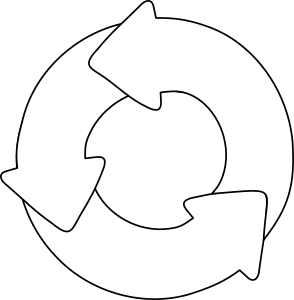 Just as you want your customers to keep going through your lifecycle, you need to consider that the way you maintain and improve your lifecycle is itself an endless loop. Build a constant practice of analyzing, improving, and measuring each stage of your customer lifecycle into your business. It's a loop worth repeating.